Effective Will management can help minimise problems arising in the administration and distribution of the Will after your death, and can also help to ensure the inheritance tax liability on the estate is mitigated as much as possible. Instructing a professional Will & Estate Planning Consultant to help write your Will, will allow you to review it regularly, should there be any changes by yourself or legislation. Our Will & Estate Planning Consultants will ensure that your Will is written carefully and tailored to your individual circumstances. Some of the areas you should give some thought to are described below, with some careful planning before the Will writing process, you can have the peace of mind that everything will be in order for the future. Careful thought as to who should be executor of your Will is crucial. The executor is the person you wish to be responsible for administering your estate on your death. Choosing someone you can trust is important, as they will be responsible for distributing your Will according to your wishes. It is also worthwhile considering whether the person has good organisational skills and is responsible, as they are required by law to keep accurate accounts of your estate and pay any debts and taxes due. We would always advise you select someone younger than you to be your executor, such as a son or daughter – so that there is a better chance they survive you. You can, if you wish, choose more than one executor, but bear in mind that issues such as geographical proximity to each other can have an effect on how quickly the estate is wound up, where they will require to meet to agree on aspects of your estate. A substitute executor should also be appointed, should your executor die before you do. Our friendly and approachable Will & Estate Planning Consultants will be more than happy to give you more information on the role of the executor to help you decide who is best suited. You can of course choose to appoint a professional executor if you are unsure or have nobody to appoint as an executor. Where you have young children under the age of eighteen, providing details of a person you would like to appoint as guardian is advisable in the event that you die before they reach the age of maturity. An appointed guardian will be responsible for the child, taking care of their every need and make decisions on their wellbeing, care and education. Where a guardian has not been specified in a Will, or no longer wishes to be guardian the court appoints a guardian. This is not ideal, as sometimes the court may get it wrong, and someone you may not have picked yourself may be appointed as guardian of your child. Having a guardian in place gives you the peace of mind and security should you die, your children will be looked after someone you trust. Careful thought regarding your choice such as how the guardian would cope with the responsibility; where they live; their age; their likelihood of having children themselves (or more children) will help you make the right choice. It is also important to speak to your guardian beforehand to understand their views on your decision. See our information page on guardians for more details. Anyone, such as an elderly relative, who was supported by the deceased. It is worth thinking carefully about how any of this may apply to you so that problems are minimised down the line. For a number of reasons, you may want to protect your assets for the benefit of future generations. This may be in a situation where you have children from a previous marriage. Putting money or property in Trust for your children will mean they are not disinherited should you die before your partner does. Another common scenario today is that many are forced to sell their family home to pay for nursing home fees. This is an unfortunate reality, as the children of the family are no longer able to inherit a share of the family home because of the cost of care. Care home fees can be extremely costly, and a large number of elderly people do not qualify for financial support. Setting up a Trust can solve problems such as these, giving you peace of mind that your children will be provided for after you die. The Will should set out details of the types of Trust you are setting up, and who should be trustees for the Trust (the persons responsible for holding the property for the beneficiary). It will also lay out specifics such as when the Trust should end. This is typically on the death or remarriage of the surviving spouse. It should also state that, while the Trust is in place, the surviving spouse can live in the property without interference, but will not be able to sell or re-mortgage without the consent of the trustees. Our Trust & Estate Planning Consultants will be more than happy to have a chat with you about the process involved. Visit our Trusts page for more information on the different types of Trusts available. 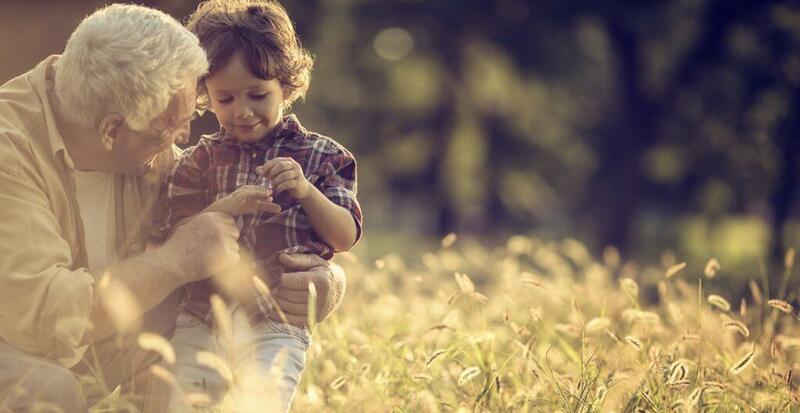 Careful inheritance tax planning will ensure as much of your estate as possible is passed on to future generations and does not get swallowed up with hefty inheritance tax bills. There are a number of options available which can help to mitigate inheritance tax. The law surrounding inheritance tax can be highly complex and confusing, and errors in tax planning can have huge consequences which could leave your beneficiaries in financial difficulty. Instructing a professional Trust & Estate Planning Consultant ensures your affairs will be in good hands. Our Trust & Estate Planning Consultants at Legacy Wills & Estate Planning will tailor a plan for your exact needs. We will explain your options fully, giving you a clear understanding of the entire process. Visit our inheritance tax page for more information.